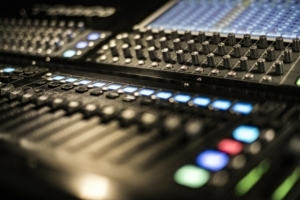 The Swiss-Italian public broadcaster RSI has recently aired a report about the federal government’s public tendering procedures for translation services(https://www.rsi.ch/rete-uno/programmi/informazione/radiogiornale/Radiogiornale-sera-11398377.html). In the report, Roxane Jacobi, Vice President of the Swiss Association of Translators, Terminologists and Interpreters, ASTTI, criticised the current tendering procedure. The DÜV also profoundly regrets the current development in some of the government’s and affiliated institutions’ language services. It should be mentioned that the “Radiogiornale” report failed to specify that for the time being, only two of the federal departments procure a proportion of their translations by public tender. The remaining departments refrain from doing so, since public tenders demonstrably and significantly add to their administrative workload. Federal translation services are not, in fact, obliged to call for tenders; it is within the law to define the scope of services required so that they remain below the threshold values stipulated in the Federal Act on Public Procurement. Furthermore, it is regrettable that various external translators who, for years, have worked extremely successfully for the language services in question and who are intimately familiar with the specialist terminology required, now find themselves without a framework contract. Even if they are, after a lengthy tendering procedure, awarded a contract, they remain in perpetual competition for the mini tenders with non-specialist translators, some of whom offer extremely low prices and deliver dubious results. Only recently, the language service of a federal department awarded a contract to an agency abroad – for a ridiculously low price. The quality of the translation delivered was so poor, it had to be post-edited by in-house translators at considerable expense. The government’s argument that public tenders can be a means of discovering new talent is not very convincing, though there certainly has been no lack of unsolicited applications for the sought-after federal contracts. An informal sample translation would most probably give as valid an indication of the applicants’ skills as a complicated process wherein translators must compile detailed dossiers, provide third party references, and sit through an assessment process, which itself results in the language services having to evaluate dozens of dossiers and mark even more sample translations when, instead, they could be doing translation work themselves. The workload associated with the tendering procedure has been reported to have been so overwhelming in some instances, that scores were calculated incorrectly, leading to translation providers being sorted into the wrong categories, thereby diminishing their chances of success. The experience of the past four years suggests that public tenders in the translation sector result in almost no savings and by awarding contracts to providers abroad, the government also loses income from taxes and social security contributions. If Swiss-based translators lose contracts, their purchasing power eventually decreases – to the detriment of the overall economy. The DÜV supports efficient government spending, but doubts that public tenders are a useful instrument when it comes to the translation sector, where the contracting party’s experience as well as their knowledge of industry and country are particularly important. A DÜV task force has been engaged in discussions with federal language services and is planning to use this opportunity and submit ideas for an improved contract procedure. 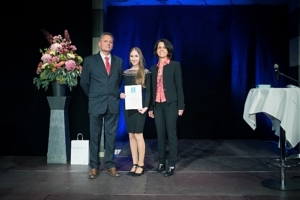 On the occasion of the ZHAW graduation ceremony on October 31st 2018, DÜV presented its newly created Excellence Award, endowed with a prize money of CHF 1,800.00, to Nathalie Dominique Nüssli for her outstanding master’s thesis entitled „Übersetzen in die Leichte Sprache: Übersetzungsprobleme, Übersetzungslösungen und Auswirkungen auf das Textverständnis von Menschen mit Downsyndrom“. 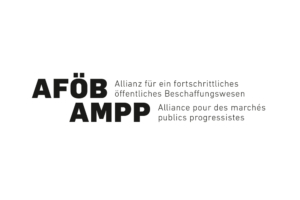 On 17 September 2018 DÜV joined the Alliance for a progressive public procurement (AföB). AföB is an alliance of 27 federations and organisations of intellectual service providers representing the interests of 3,600 companies and 36,650 individual members. It stands up for a public procurement that allows an effective competition for high quality services at a fair price. As the number of tenders for translation and interpretation services is rising, DÜV is glad to be able to rely on a powerful partner network.